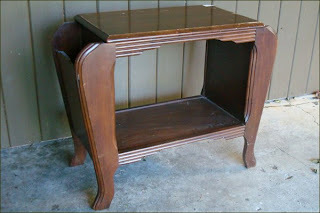 Thrifty By Design: Another refinishing project to add to the LONG list! 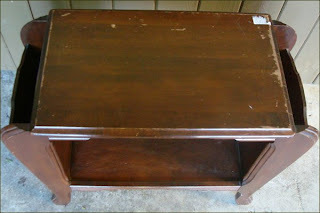 Another refinishing project to add to the LONG list! So what do you do when you have a few pieces of furniture in various stages of refinishing lying around... Well you buy MORE of course. I know it's ridiculous but I bought another piece of furniture needing TLC. Soon I'll be the crazy lady on the street with so much 'junk'. Actually I'm not too bad - our neighbour has possibly 25 bikes in his yard among other things. He makes me look extremely minimal to say the least! I grabbed this vintage magazine rack at the Salvation Army this week. It was a deal for $15 but it actually ended up being 50% off. My find was $7.50 and it's real wood not veneer, which is a definite bonus. 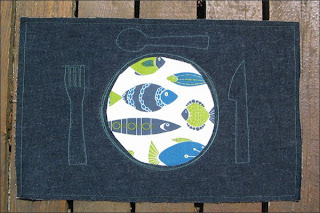 Good news - I finished my denim placemats. 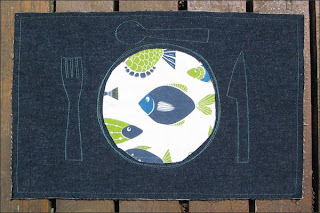 I only had enough denim for 3 placemats. 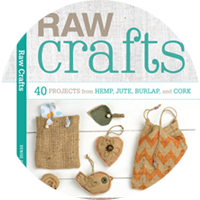 I'll get some more denim this weekend then I'll have a set of 4 ready to go. 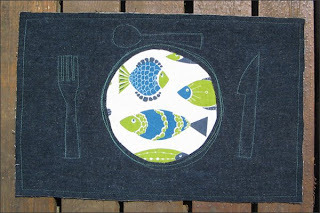 I used the Danica placemat with fish on it. I think it looks cute. I may make another set of 4 using some fabric that has spaceships on it. My friend Bronwen donated the fabric not too long ago. I think they'll look super cute as well. I'm counting down until the weekend! 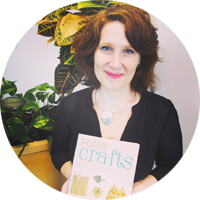 I'll get to hang out with Paul, do some crafting and work on some of the furniture pieces. I have 2 wooden trays, the silver cutlery box, the shelves, the desk and now the magazine rack to work on. There's definitely lots to do! I love the name of your website. It is perfect. I can see that you have been really busy. You have a creative eye. Very nice projects . . . enjoy!